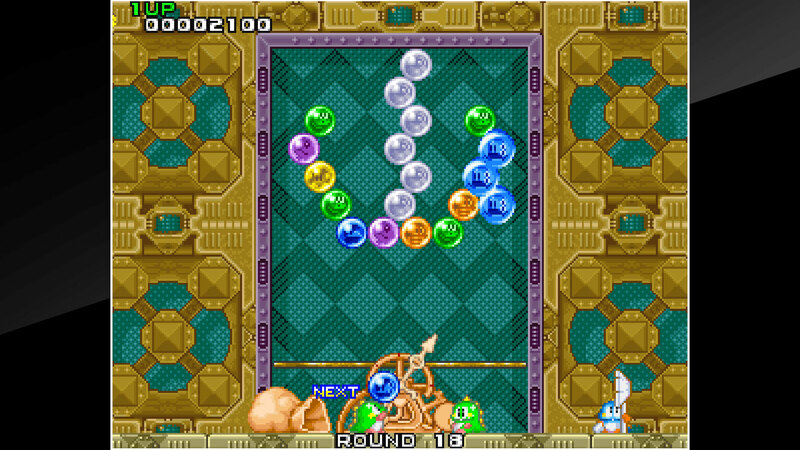 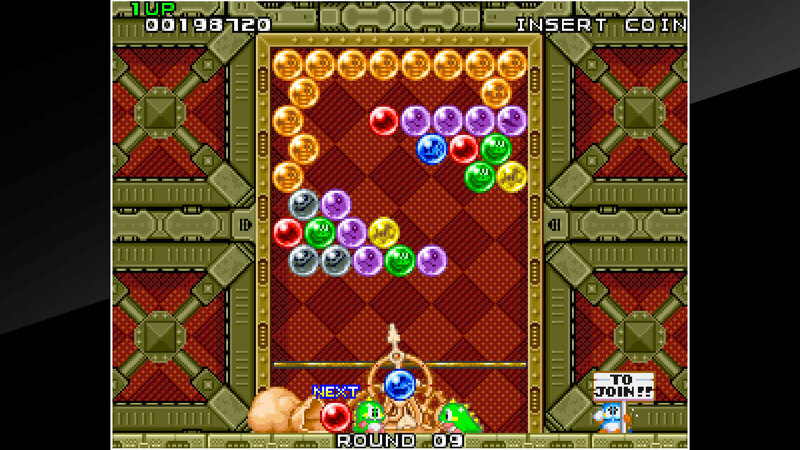 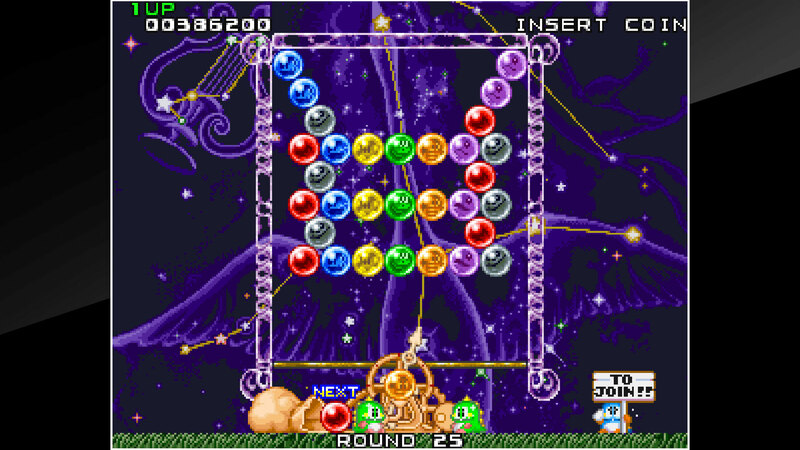 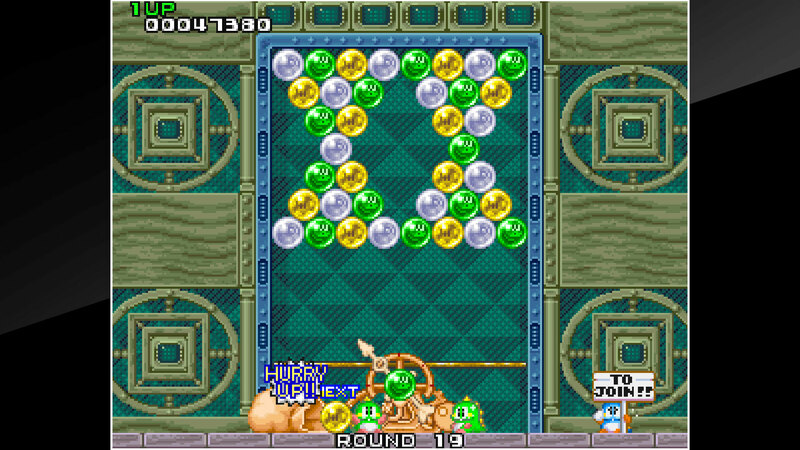 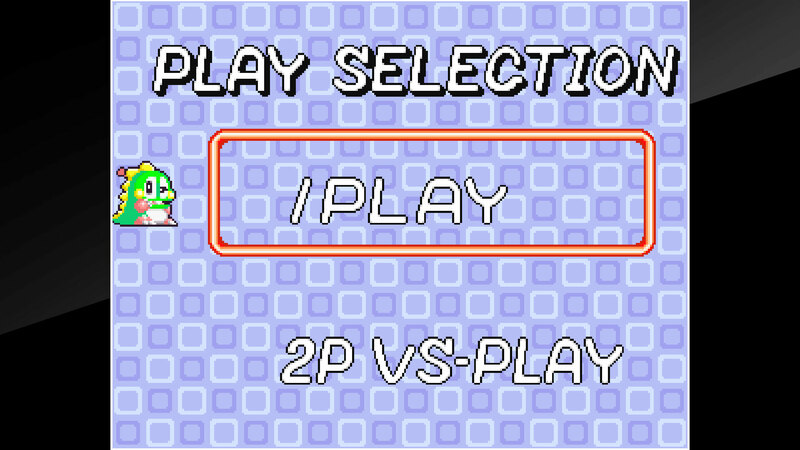 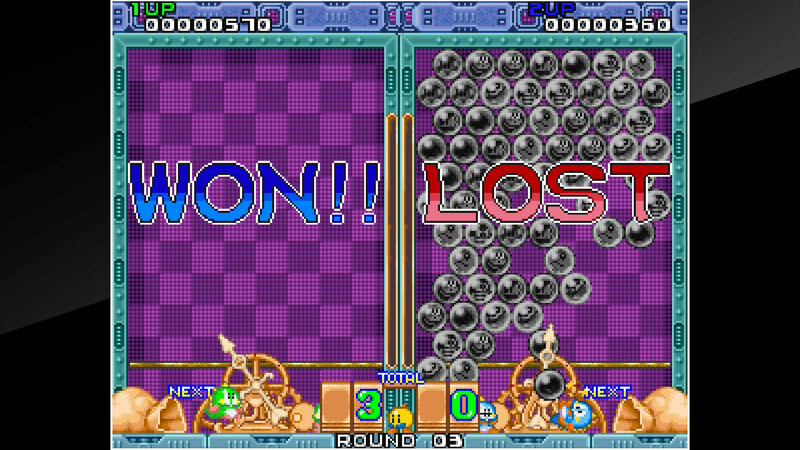 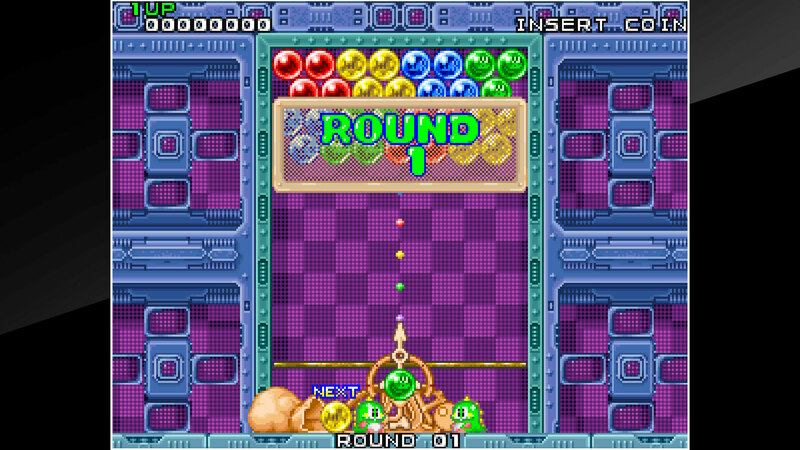 PUZZLE BOBBLE is an action puzzle game released by Taito in 1994. 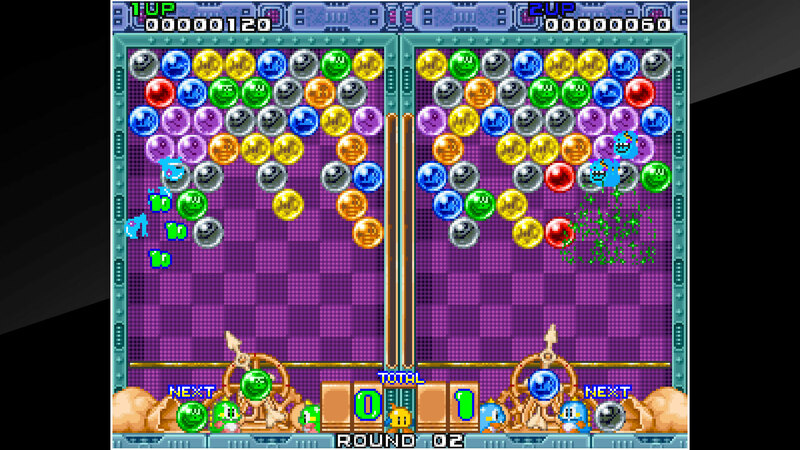 Bub and Bob, the bubble spitting dragons from the action game, BUBBLE BOBBLE, are back in a new bubble-based puzzle! 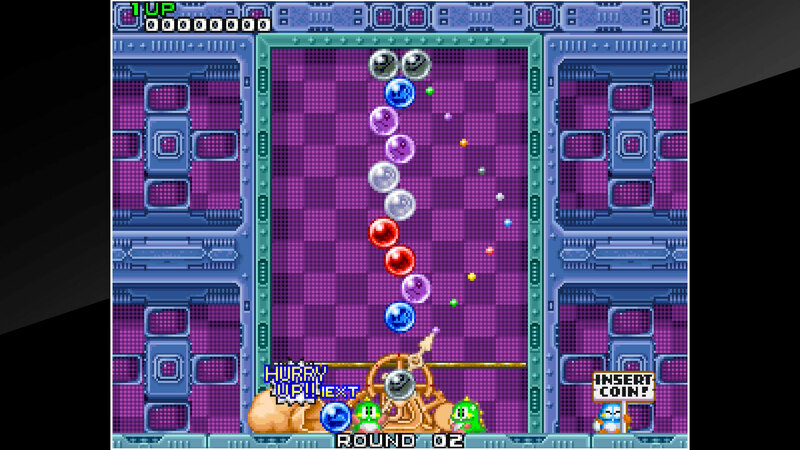 Skillfully bounce bubbles off the walls and match 3 or more bubbles of the same color to erase them! 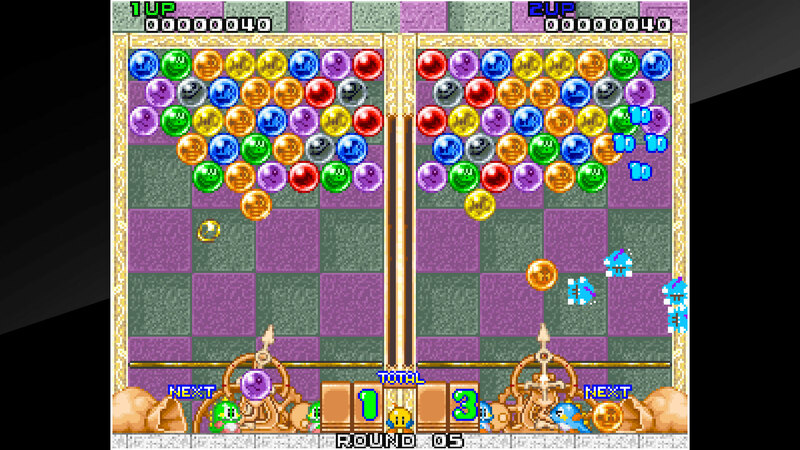 Enjoy the easy to learn, but hard to master, bubble shooter puzzle game!